Mon, October 15, 2012 7:30 P.M.
One of the nation’s most talented chefs and an ambassador of contemporary Latin cuisine, Chef Jose Garces opened his first restaurant, Amada, in 2005, and has since opened six more acclaimed Philadelphia restaurants, in addition to ventures in Atlantic City, Chicago, Scottsdale, and Palm Springs. 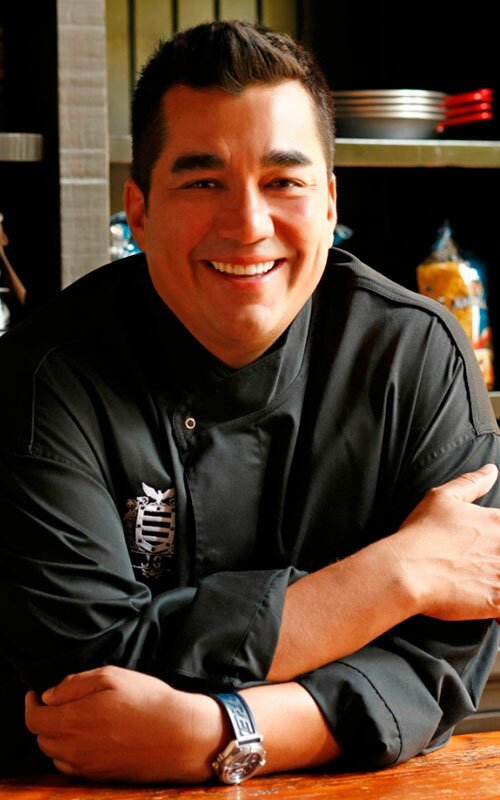 Garces is the recipient of the James Beard Foundation’s prestigious Best Chef: Mid-Atlantic Award, as well as one of Food Network’s Iron Chefs. His recipes and restaurants have been featured in the New York Times, Travel & Leisure, and Bon Appetit. The Latin Road Home is his second cookbook, capturing the vibrant flavors of daily and festive cooking in Latin American and Spanish households. In conversation with Michael Klein, editor/producer of philly.com/food and a Philadelphia Inquirer Table Talk columnist.